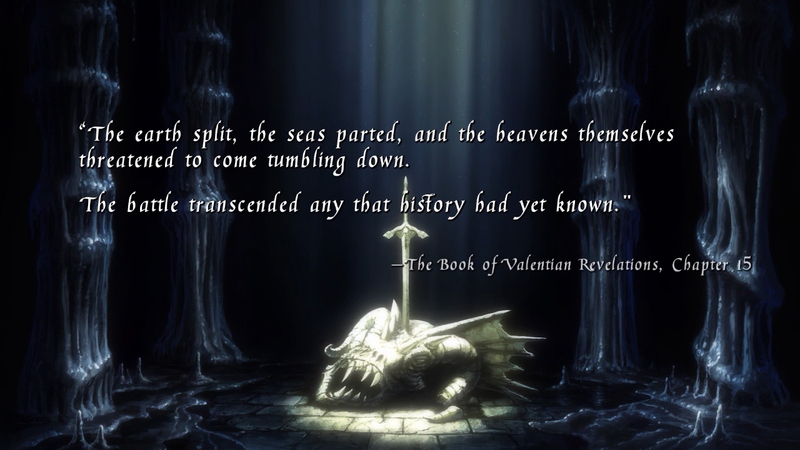 The Book of Valentian Revelations is an in-universe record of Duma and Mila’s history, which is divided into numerous chapters. 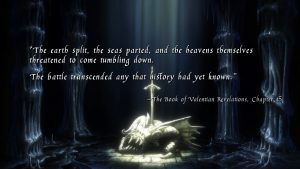 Some of these chapters can be found in the stone tablets in the amiibo dungeons, while one of the chapters appears in the game’s debut trailer (shown above). The remaining chapters are included in the Valentia Accordion, a book released in Japan on 30th March 2018. Below is a collection of all 40 chapters. Special thanks to Kirokan for scanning the Valentia Accordion. We are the Servants, borne from our master’s will, watching over this continent alongside our master. Duma protected the dragons’ ruler with his military might, gaining her favour; he was called the Kingshield. The New Folk rapidly advanced thanks to the Old Folk’s wisdom. Eventually, they constructed an extravagant city known as Thabes. Mila joined Duma’s side and the two stood valiantly against the ruler’s army. Duma and Mila were no match for the ruler’s forces and surrendered after 9 terrible days of battle. During the colossal battle, some of the ruler’s fangs splintered and scattered across the realm. By the ruler’s decree, Mila and Duma were banished from the land beyond. Those who carry the divine dragon’s blood and bear her mark can draw out the Kingsfang’s true strength and manifest their royal power. Despite being scarred by battle, Duma’s rage had not subsided and he desired revenge against the dragons’ ruler. Though Duma’s ideals were originally driven by revenge, he also put his people into consideration. Together, Duma and Mila formed a Divine Accord. Thereafter, they vowed never to cross into each other’s domain. Duma and Mila became the peoples’ pillar, while they resisted against the foreign threat. The fighter Rigel, from Duma’s domain, and the hero Zofia, from Mila’s domain, were chosen for their brilliant exploits.